Low Voltage wiring includes ANY wiring that is not used as a standard 120V Power Outlet. 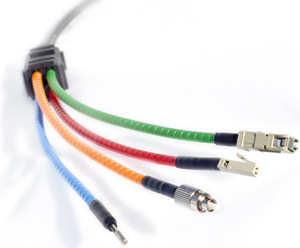 Low Voltage Cabling comes in hundreds of different variants. There are a variety of brands and classes of wiring that have wide ranging performance in a variety of environments. When planning your commercial wiring installation, the type and quantities of each cable type should be discussed and planned with your design consultant. 10X Communications specializes in the design, planning and installation of ALL types of low voltage cabling in COMMERCIAL Environments. Our technicians adhere to the strict BICSI standards and codes for every strand of wire we install. The spreadsheet below should assist in classifying terms into general cable functions. Each column has several examples of this phenomenon.